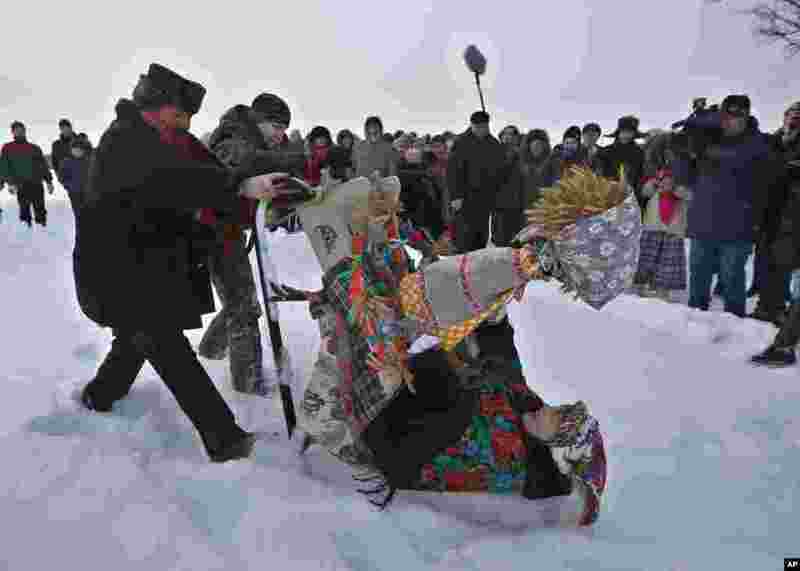 1 Belarusians wearing folk costumes celebrate a Pull the Kolyada Up the Oak rite in the village of Martsiyanauka, some 77 km (48 miles) east of capital Minsk. 2 Participants attend the 'Collisions. 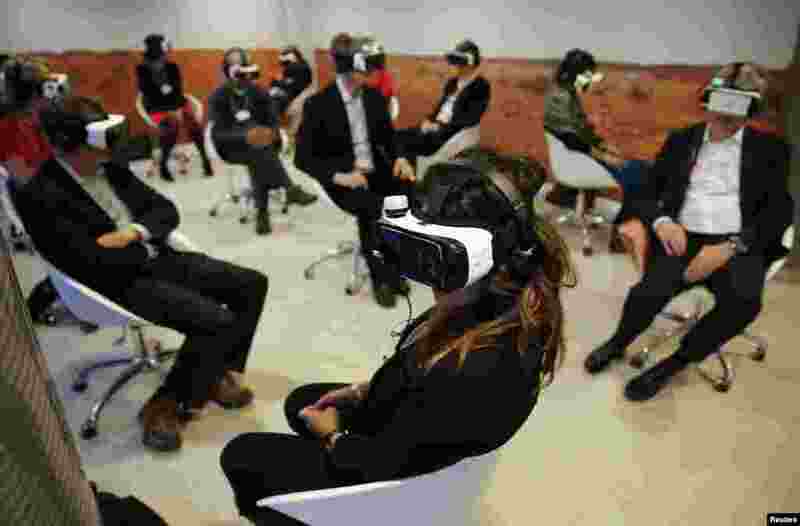 A Virtual Reality World Premiere' event at the annual meeting of the World Economic Forum (WEF) in Davos, Switzerland. 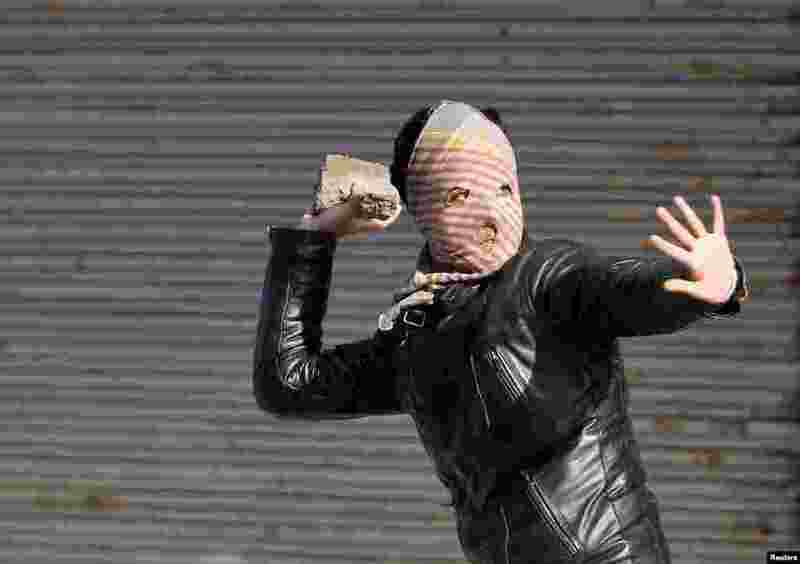 3 A Kashmiri Muslim demonstrator throws a stone towards Indian police (unseen) during a protest in Srinagar. Clashes between Indian police and Kashmir Muslim demonstrators broke out after a protest which was organized by the Jammu Kashmir Liberation Front (JKLF), a Kashmiri separatist party, to mark the anniversary of the killings of at around 50 people allegedly by Indian security forces during a protest on January 21, 1990, demonstrators said. 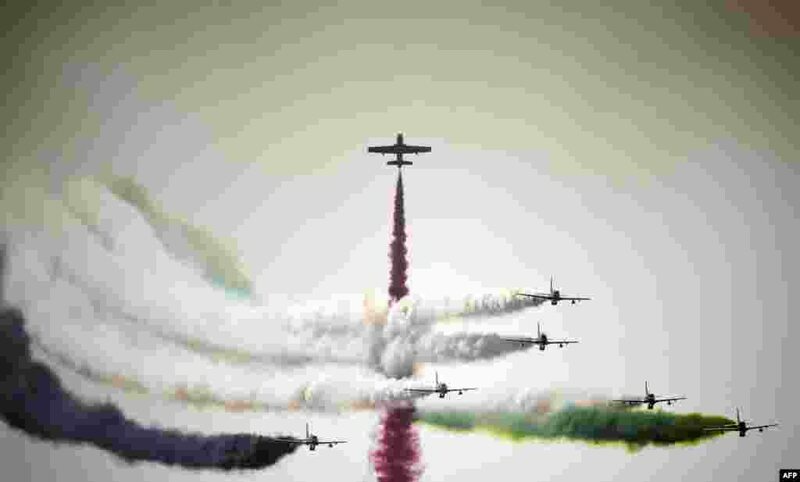 4 UAE's Al-Fursan display team performs during the opening of the Bahrain International Airshow 2016, in Sakhir, south of the capital Manama.